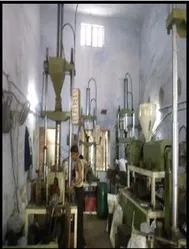 Founded in the year 2010, in Ahmedabad (Gujarat, India), we “Rainbow Polyvalve Pvt. 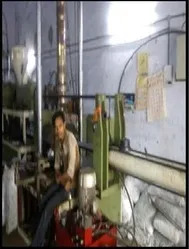 Ltd.” are the reckoned manufacturer and supplier of premium grade Industrial Pipes and Fittings. Offered category includes products like HDPE Pipe, HDPE Pipe Fittings and PP Pipe Fittings. These products are made up us quality approved material like concrete, cement, chemical fixers and advanced technology in adherence to set industry standards. 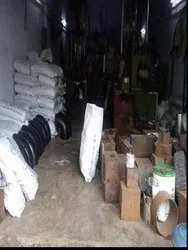 Further, these products are strictly checked on series of quality parameters assuring their dimensional accuracy, low maintenance and long lasting finish standard. Owing to the hard work, sincerity and dedication of our quality controllers, we are able to attain a blindfolded trust of our clients. These products are rigorously checked on different quality stages by our quality analysts in order to bring flawlessness on these products and consistency in our business. On the other hand of business operations, we are also facilitated with wide distribution network for delivering bulk and urgent order of clients within scheduled time-frame. Our distributors completely understand the time value of our clients and serve them, accordingly. Under the valued direction of our mentor, 'Mr. Hasmukh Patel', we have established a formidable status in the market. His business acumen, detailed knowledge and endless inspiration have enabled us to stand a step ahead of our counterparts. We have appointed an adroit team of capable and proficient experts on the bases of their understanding and working knowledge. With inspiring changes in industry, we are occupied deeper into the technical era. Our experts give customized solution to customer’s demand that enable us to deal with confidence in this interesting business environment. It is their practical industry understanding and business skills that are answerable for our customers.